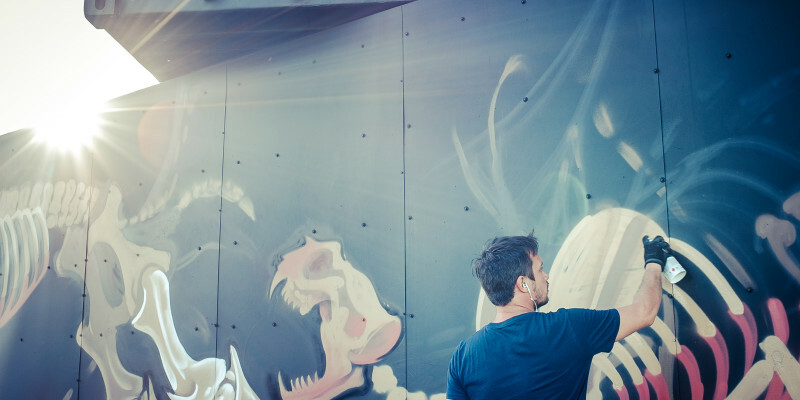 The Austrian urban art and graffiti illustrator Nychos grew up in a hunting family. 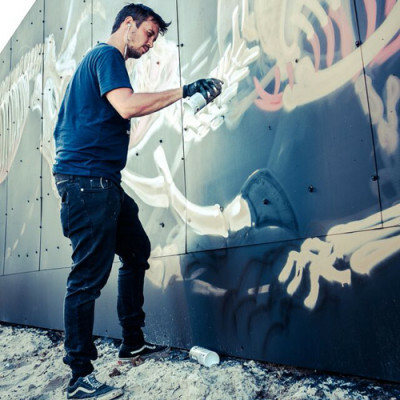 Getting confronted by the anatomy of dead animals at an early age and being an 80’s kid with an interest for cartoons and heavy metal ended up being some of the ingredients which inspired him when he started graffiti and painting at the age of 18. Over the years he developed a unique, distinctive style which stands out. His dissections and cross sections of human and animal bodies, pumped up on the visual adrenaline of comics, heavy metal and graffiti, are easily recognized. In Nychos’ weird world, Spongebob has a skeleton, people live inside rabbits and there is always something wicked underneath. 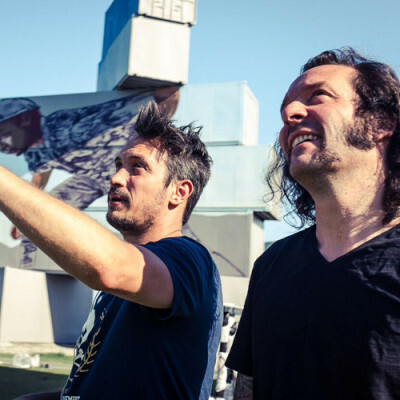 He is well known for his huge and technically outstanding art pieces in the urban environment as well as several gallery exhibitions. In 2013 he had solo shows in Detroit, New York and Turin and participated in Art Basel Miami Beach, Pow Wow Hawaii and many other events. In 2014, two solo shows in San Francisco and Singapore were realized amongst a set of shows, festivals, events, conferences and fairs. 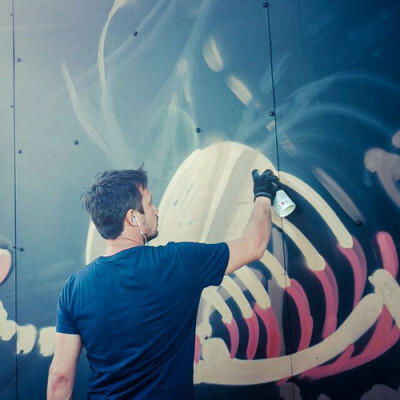 He’s currently seen as one of the most sought-after artists of the street art scene. His dissections and cross sections of human and animal bodies, pumped up on the visual adrenaline of comics, heavy metal and graffiti, are easily recognized. In Nychos’ weird world, Spongebob has a skeleton, people live inside rabbits and there is always something wicked underneath.